Live pay-per-view coverage of the event will be distributed through Turner’s B/R Live, the company’s new premium live sports streaming service, AT&T’s DIRECTV, AT&T U-verse, and will be offered to other on-demand platforms. HBO Sports and its groundbreaking 18-time Sports Emmy ® Award-winning 24/7 reality franchise will capture all the excitement leading up to the match. Bleacher Report and its wildly-popular House of Highlights, which recently surpassed 10 million followers on Instagram, will offer comprehensive highlights and behind-the-scenes content. Turner’s TNT will also televise programming with select content from the event in the weeks following the live competition. 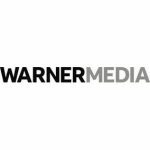 Turner International will facilitate distribution of live PPV access to the event outside the U.S.
Turner Sports, a division of Turner, is an industry leader in the delivery of premium sports content across all multimedia screens. Turner Sports’ television coverage includes the NBA, Major League Baseball, NCAA Division I Men’s Basketball Championship, ELEAGUE and professional golf, along with the UEFA Champions League and UEFA Europa League. The company also manages some of the most popular sports destinations across digital and social platforms including Bleacher Report and its top-rated app, NCAA.com and the critically-acclaimed NCAA March Madness Live suite of products, PGA.com and the Sports Emmy Award-winning PGA Championship LIVE, as well as an accompanying collection of mobile sites and connected device apps. Turner Sports and the NBA jointly manage NBA Digital, a robust collection of offerings including NBA TV, NBA.com, NBA LEAGUE PASS, the NBA App and NBAGLEAGUE.com. Turner Sports recently launched B/R Live, a premium live streaming sports platform that serves as the central hub for both the discovery and consumption of live sports content. The new streaming service allows fans to find and watch their favorite sports content anywhere, anytime and on the screen of their choice. MGM Resorts International (NYSE: MGM) is an S&P 500® global entertainment company with national and international locations featuring best-in-class hotels and casinos, state-of-the-art meetings and conference spaces, incredible live and theatrical entertainment experiences, and an extensive array of restaurant, nightlife and retail offerings. MGM Resorts creates immersive, iconic experiences through its suite of Las Vegas-inspired brands. The MGM Resorts portfolio encompasses 28 unique hotel offerings including some of the most recognizable resort brands in the industry. Expanding throughout the U.S. and around the world, the company in 2018 opened MGM COTAI in Macau and the first Bellagio-branded hotel in Shanghai. It also is developing MGM Springfield in Massachusetts. The 78,000 global employees of MGM Resorts are proud of their company for being recognized as one of FORTUNE® Magazine’s World’s Most Admired Companies®. For more information visit us at www.mgmresorts.com.